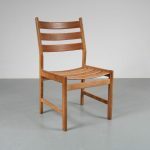 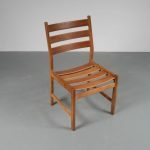 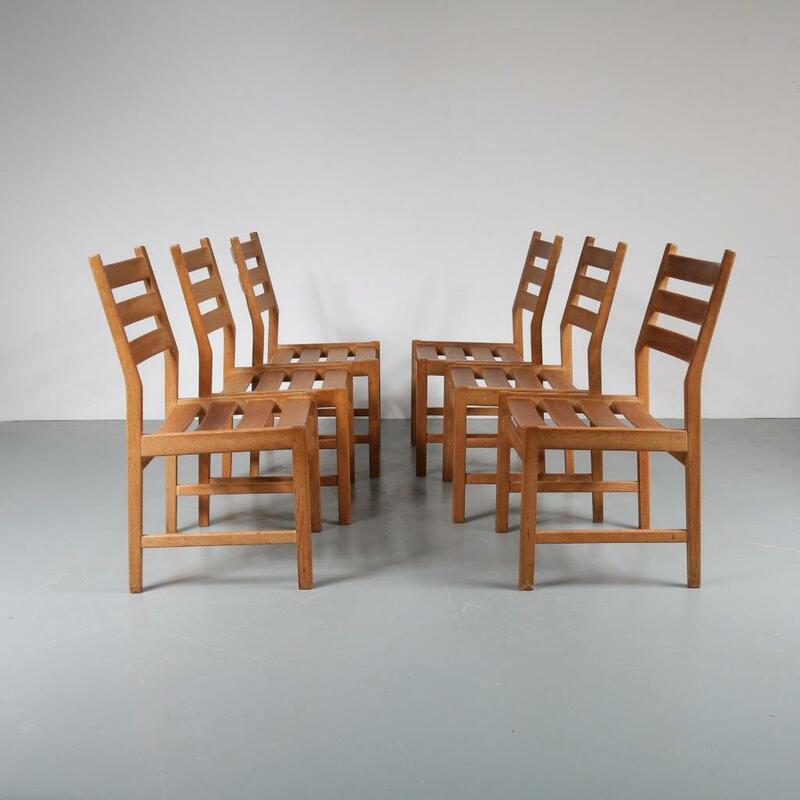 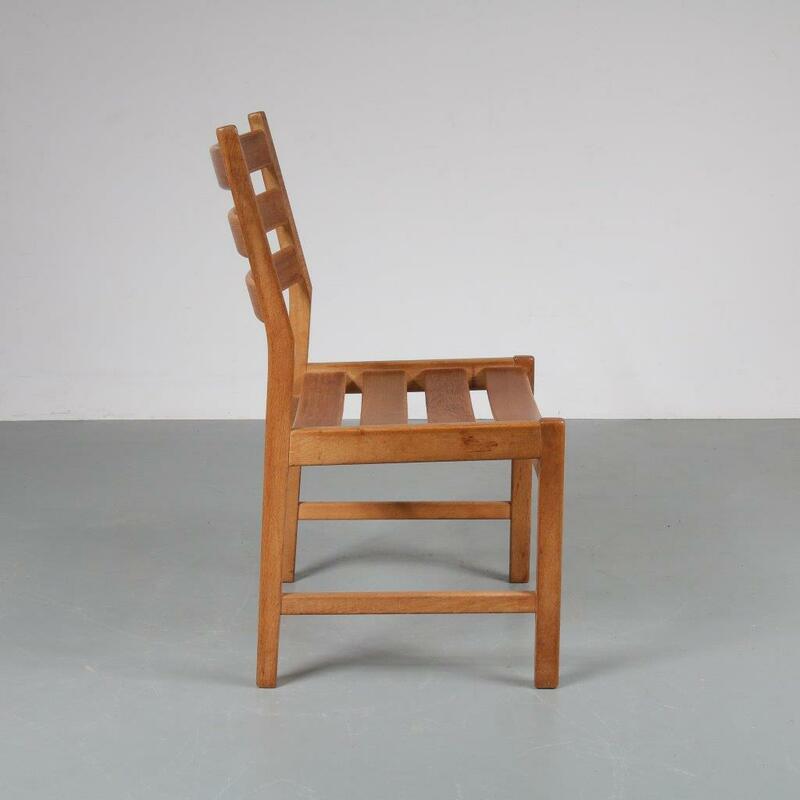 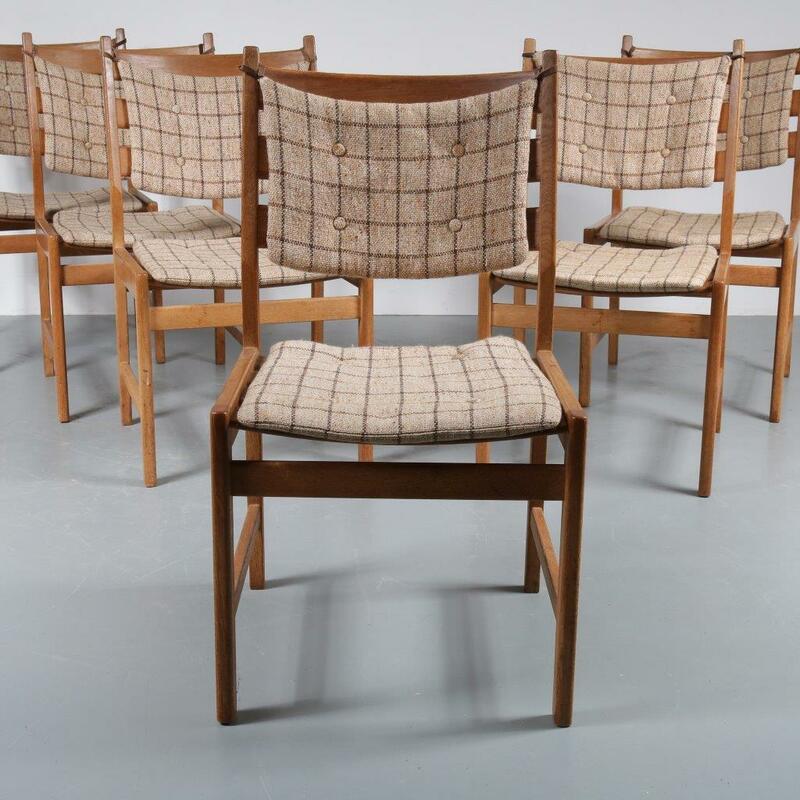 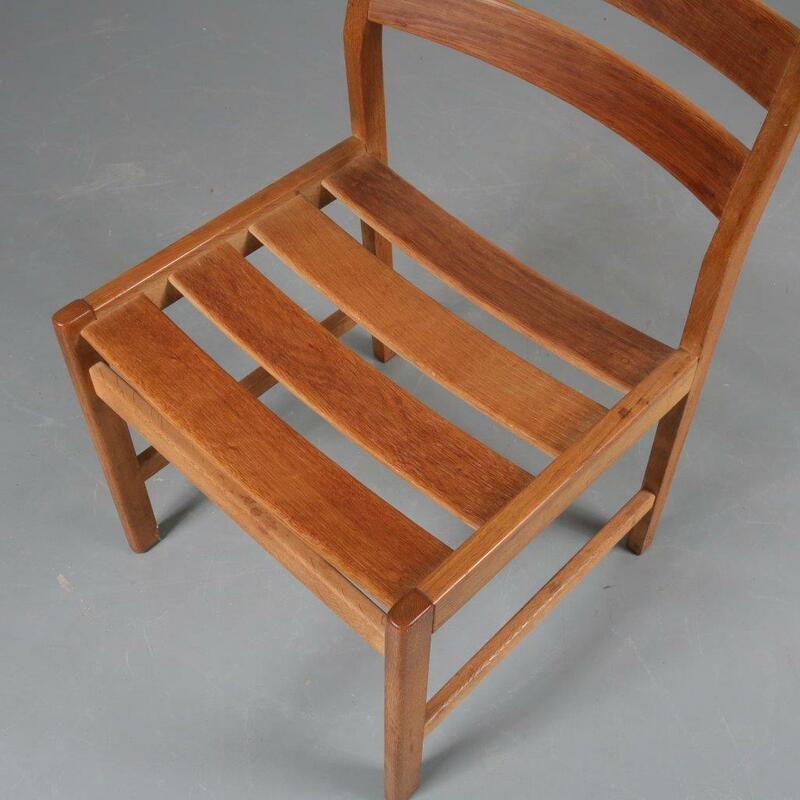 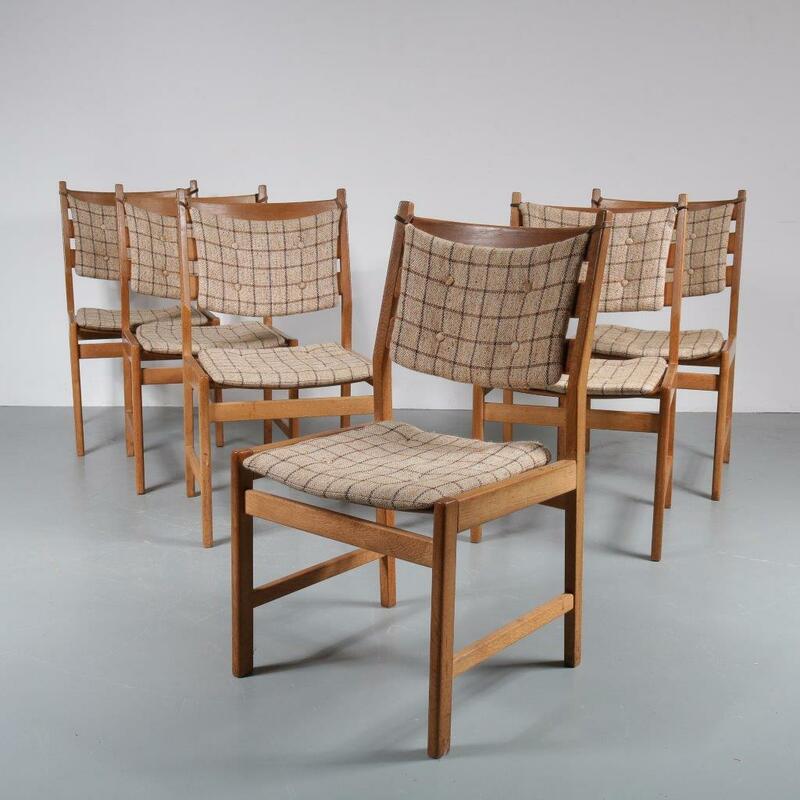 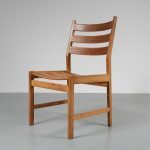 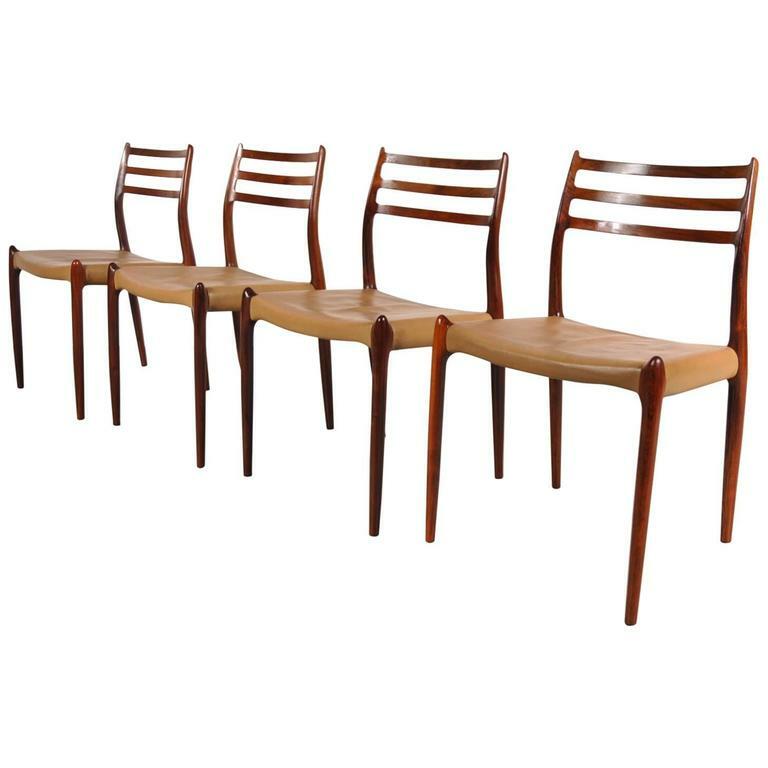 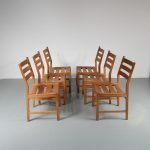 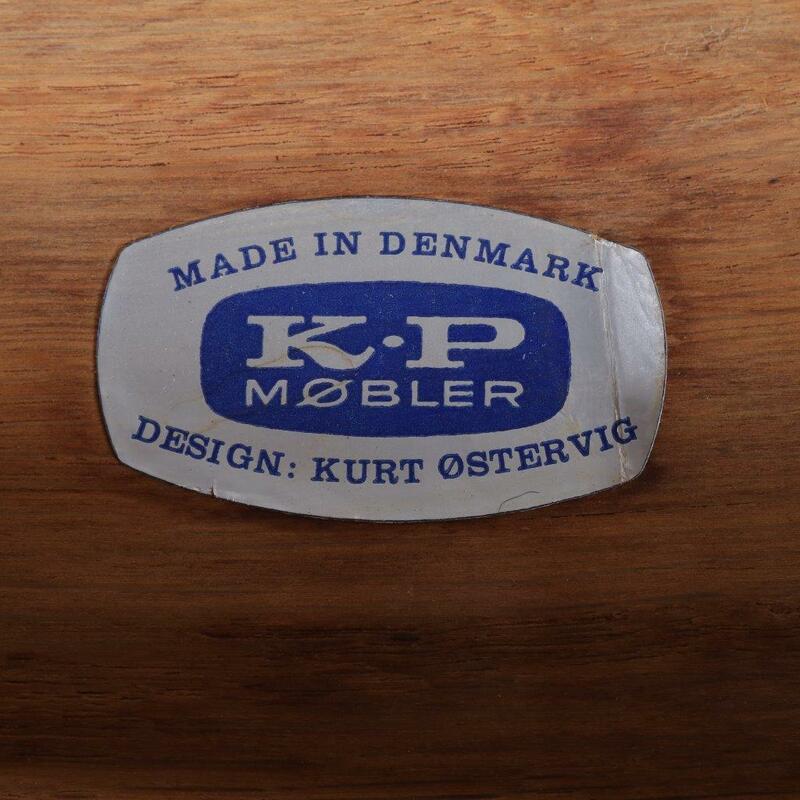 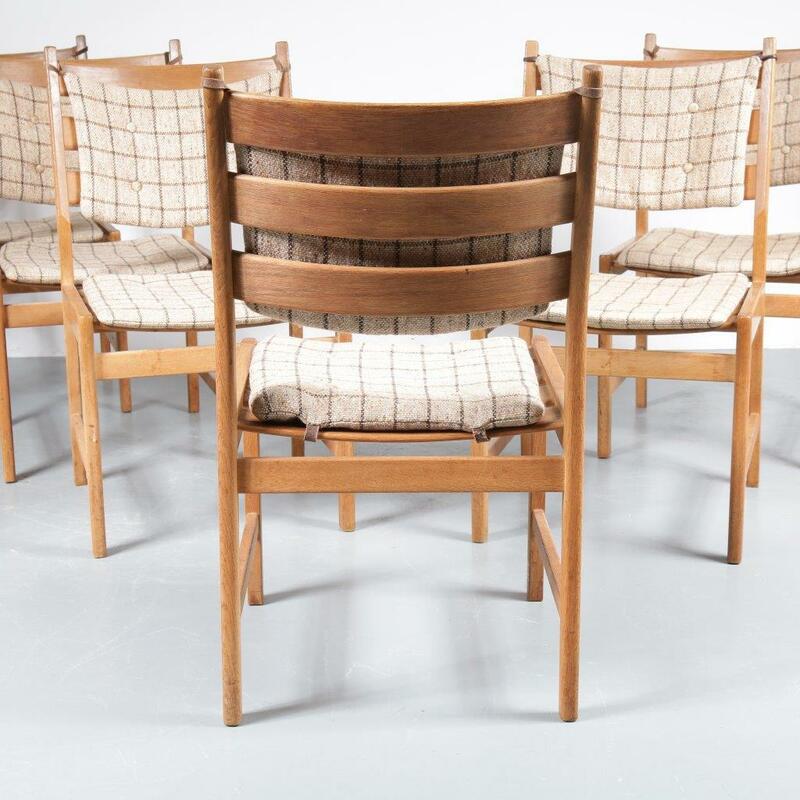 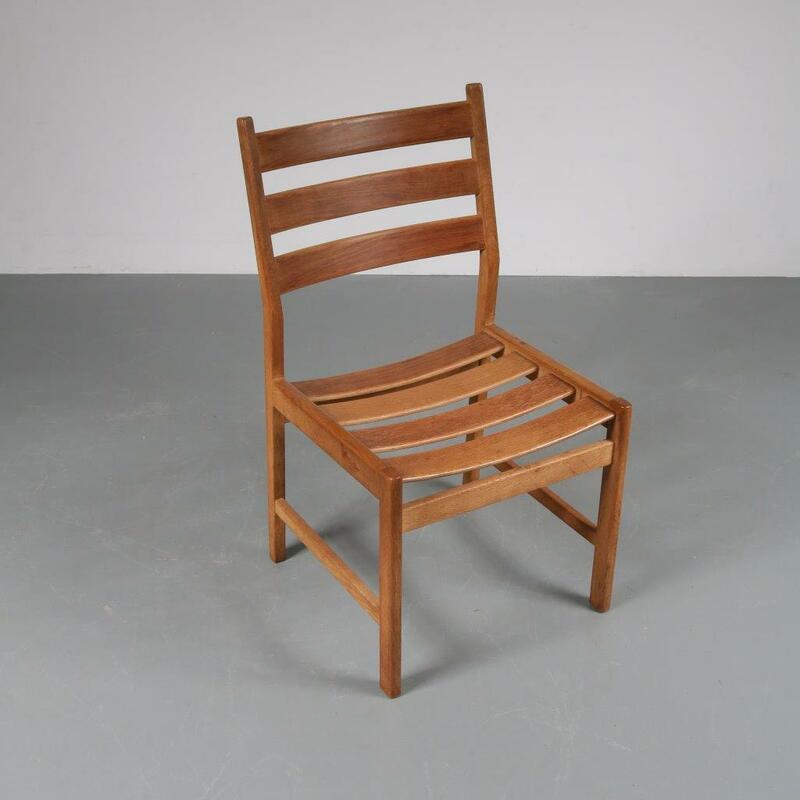 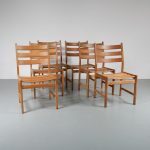 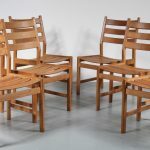 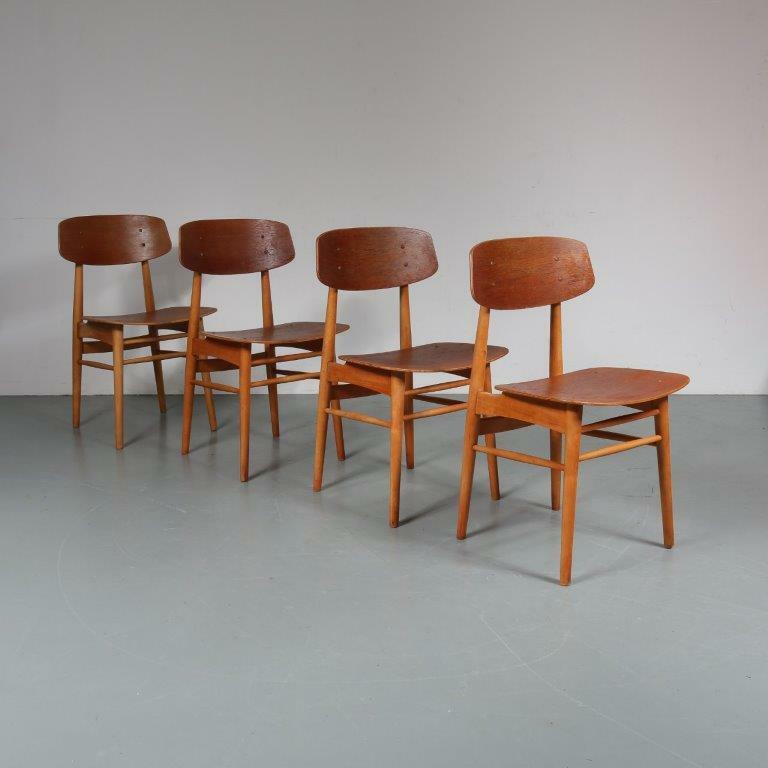 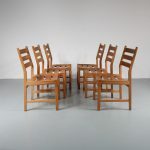 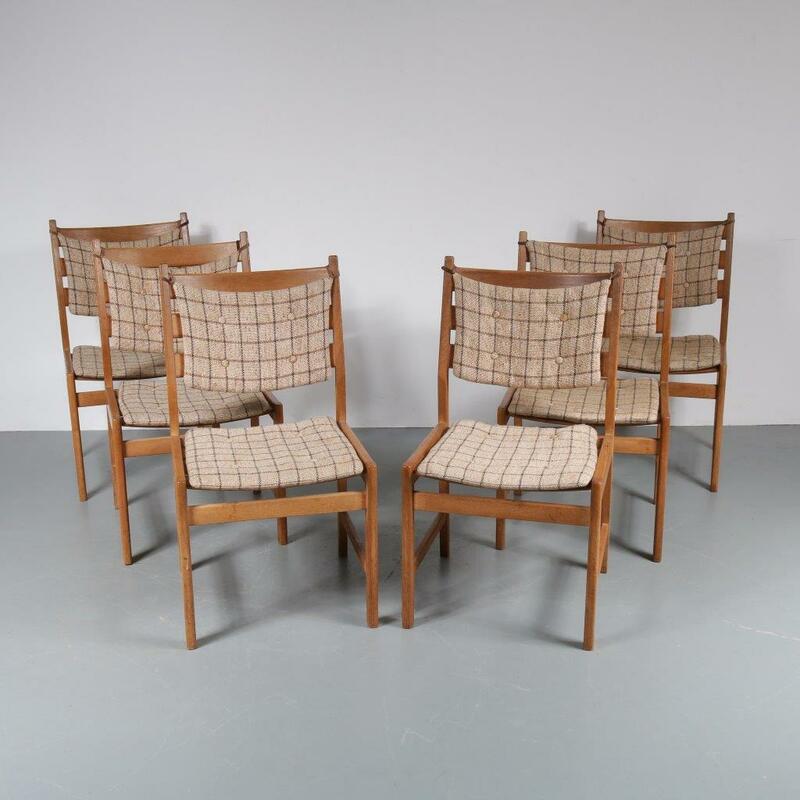 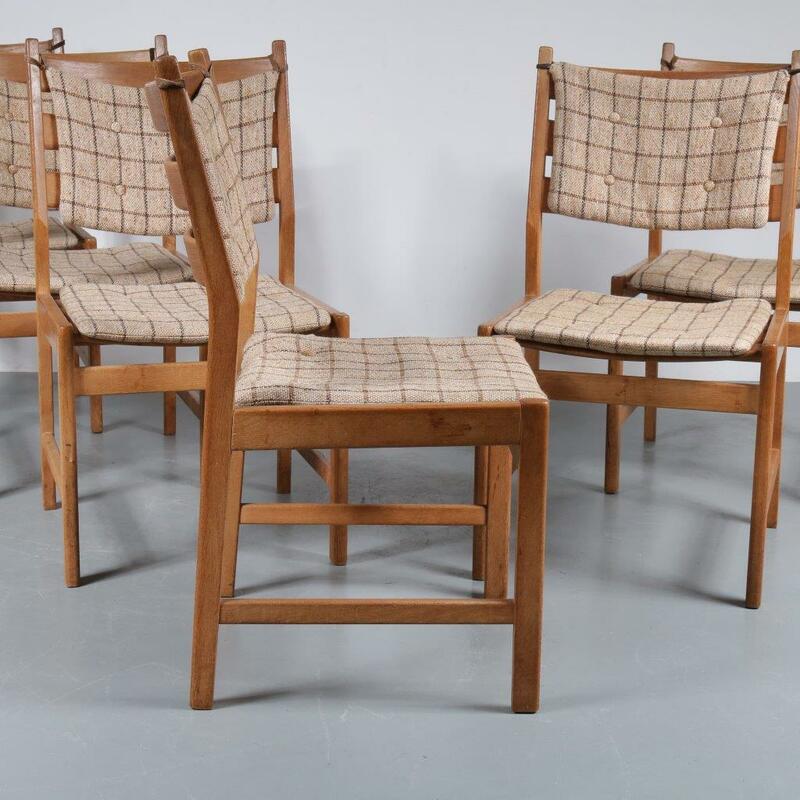 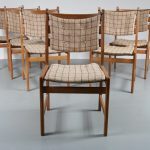 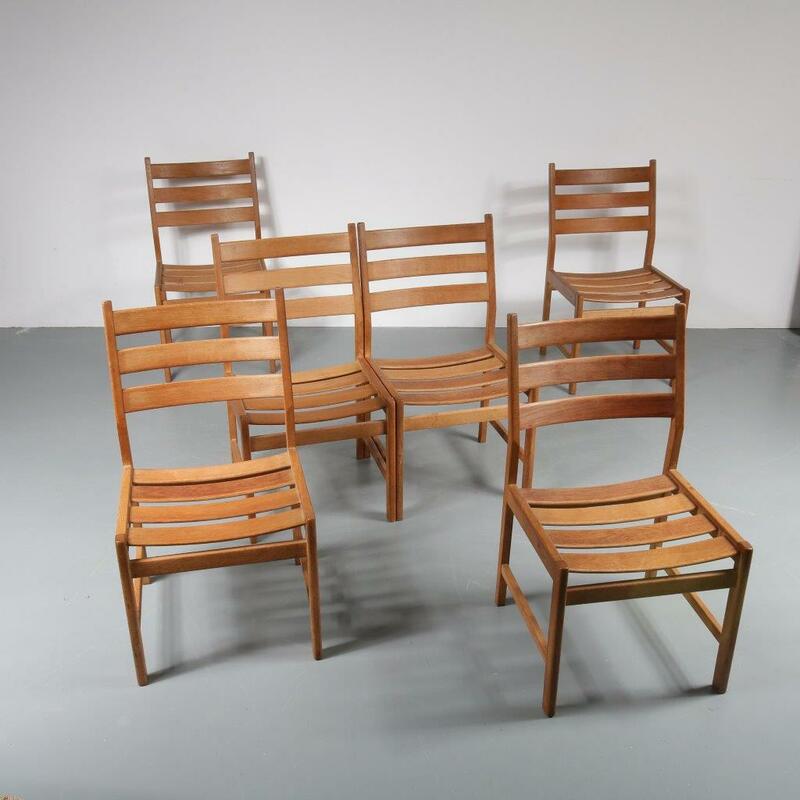 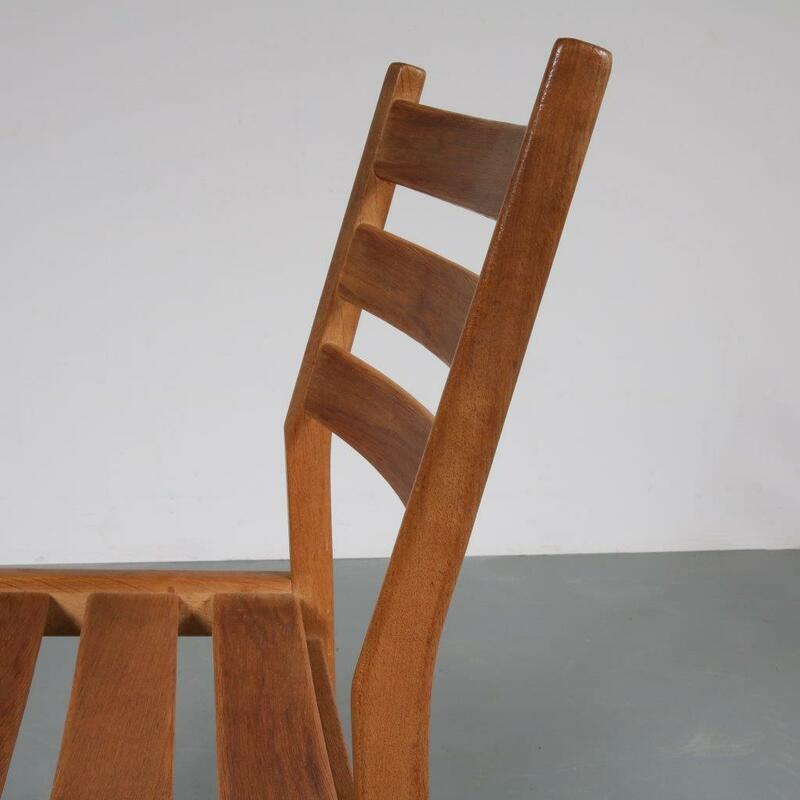 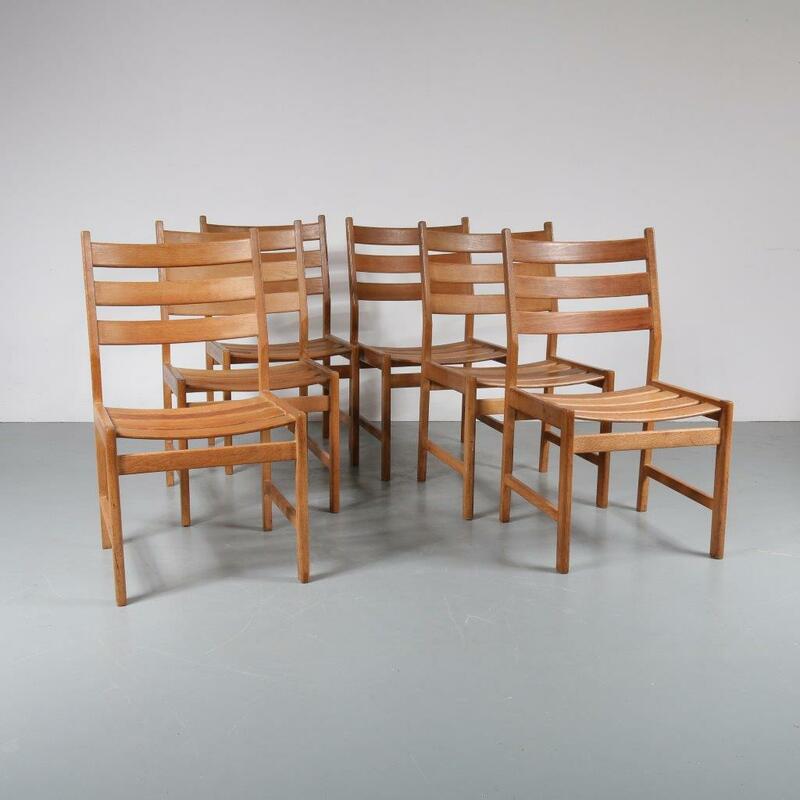 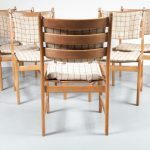 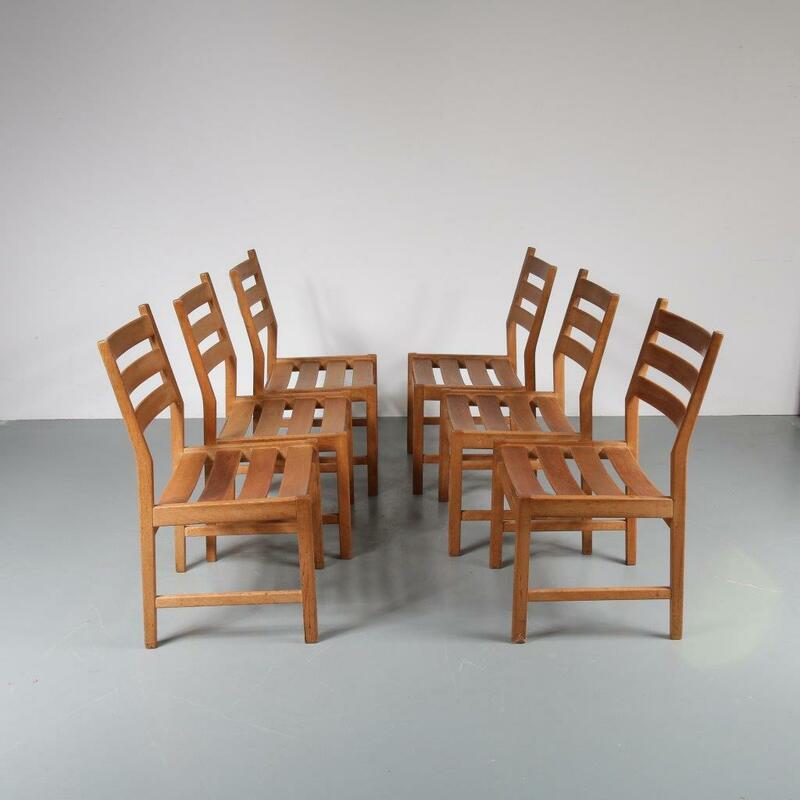 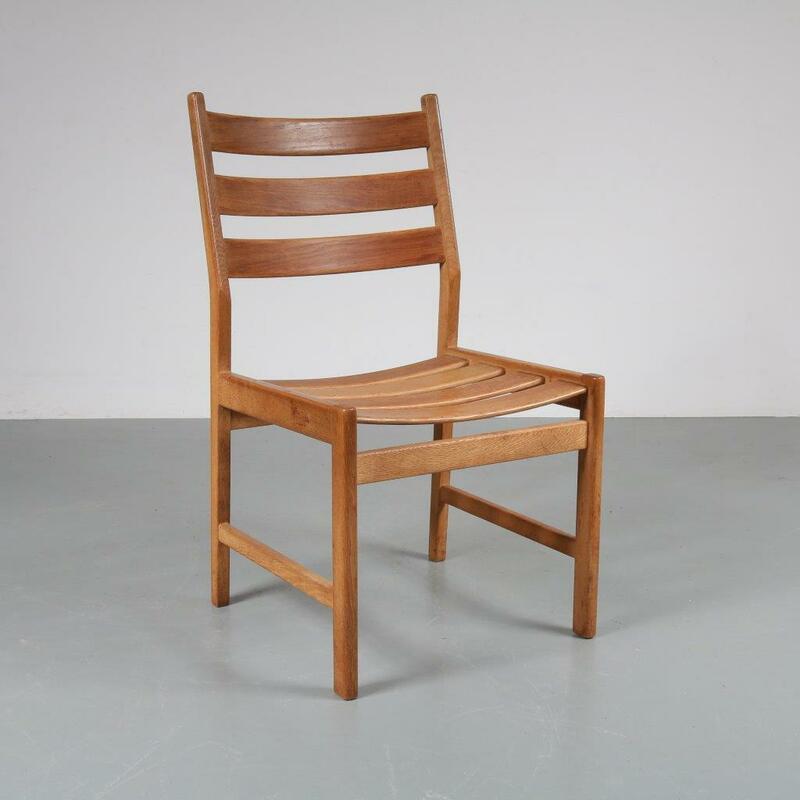 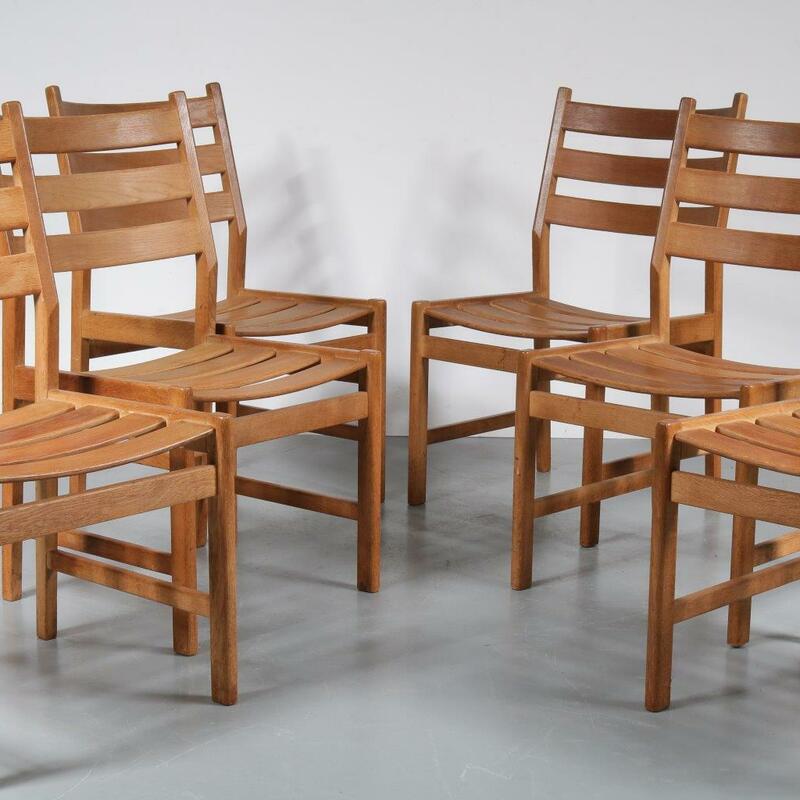 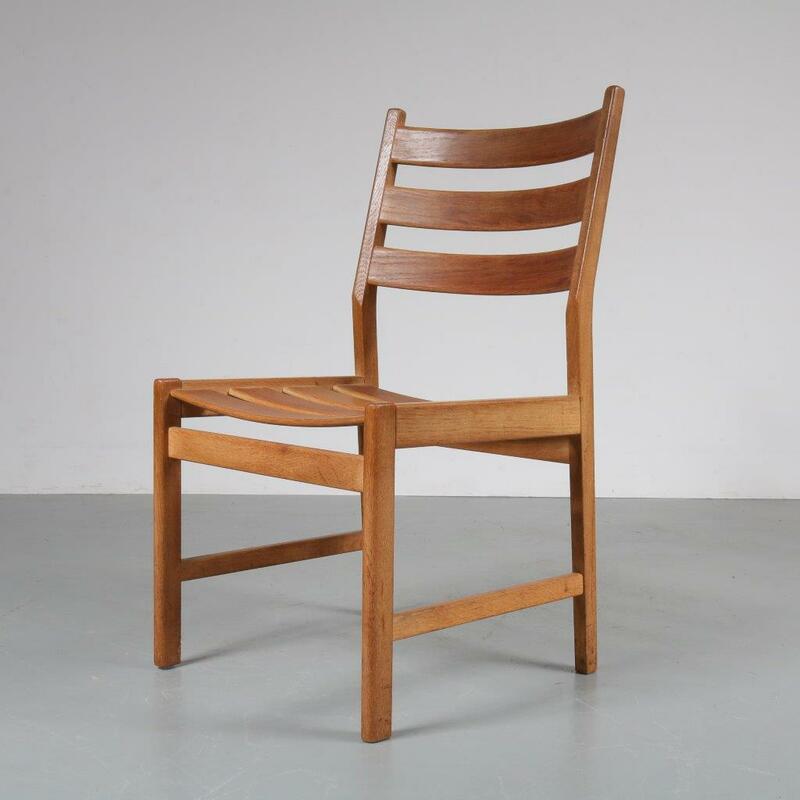 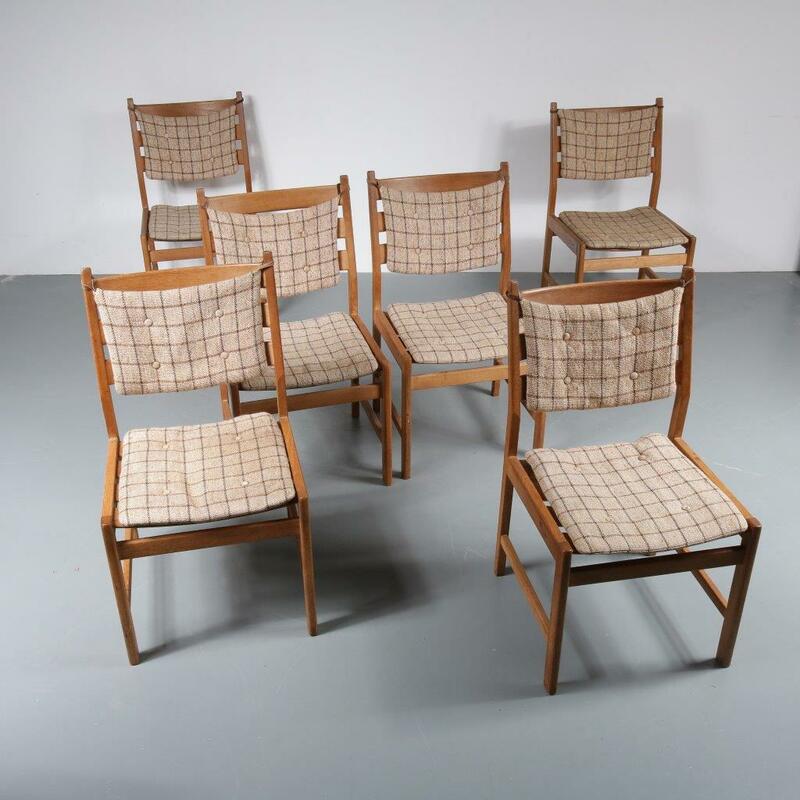 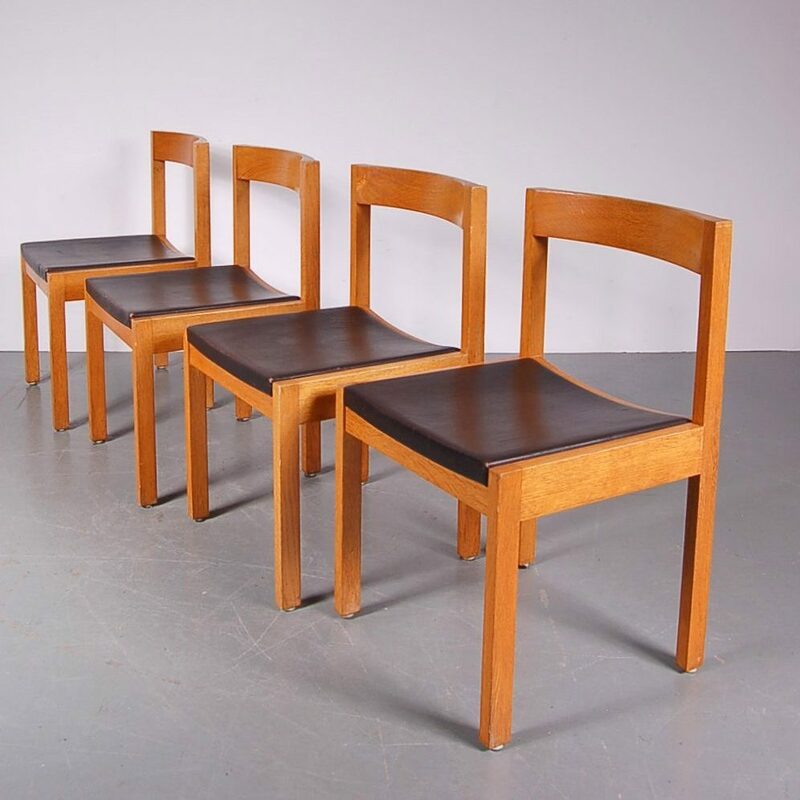 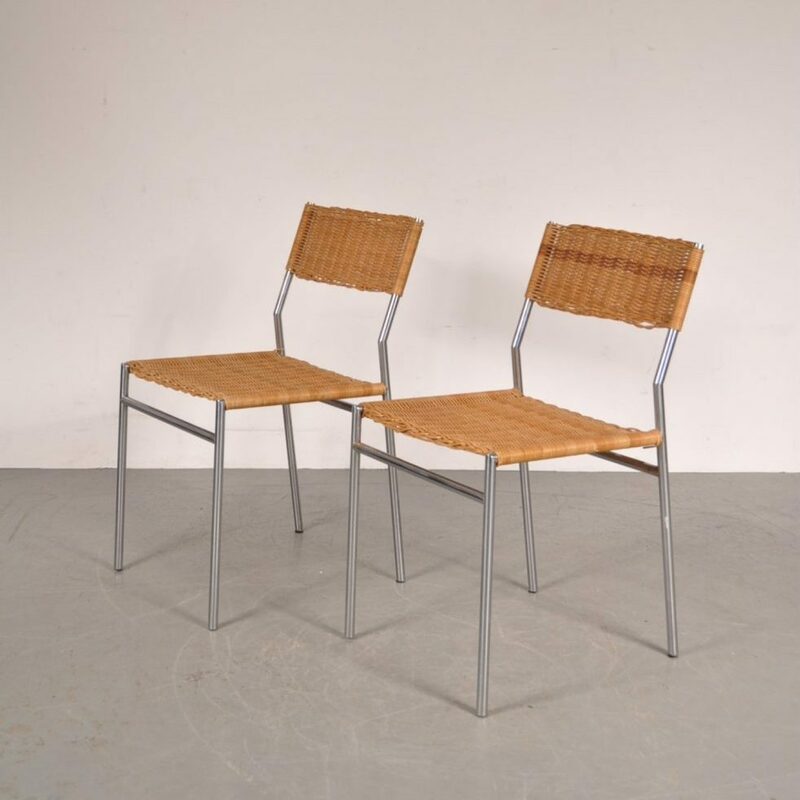 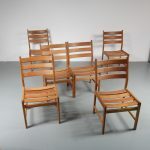 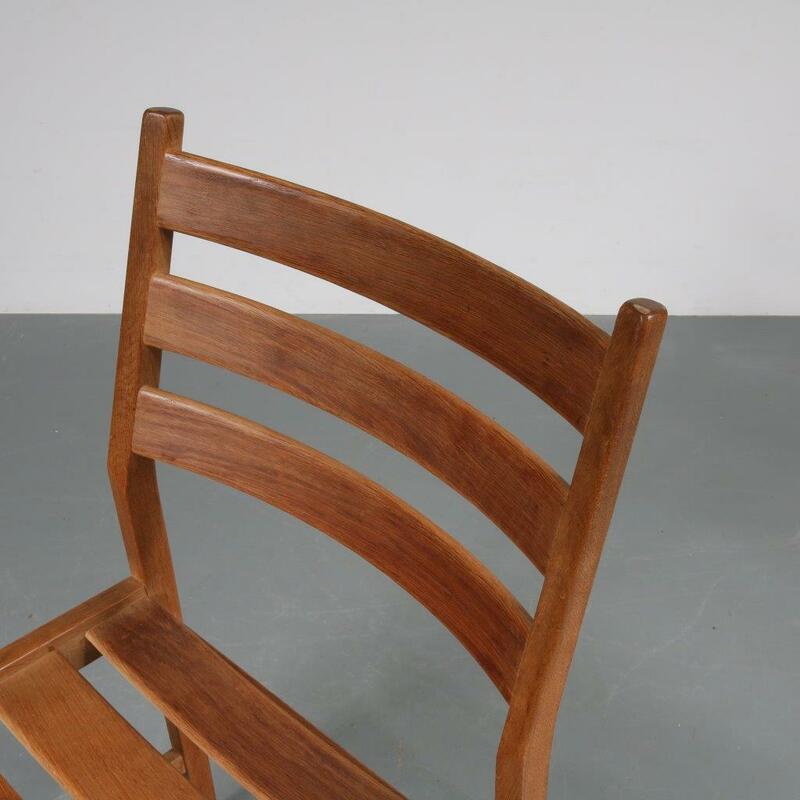 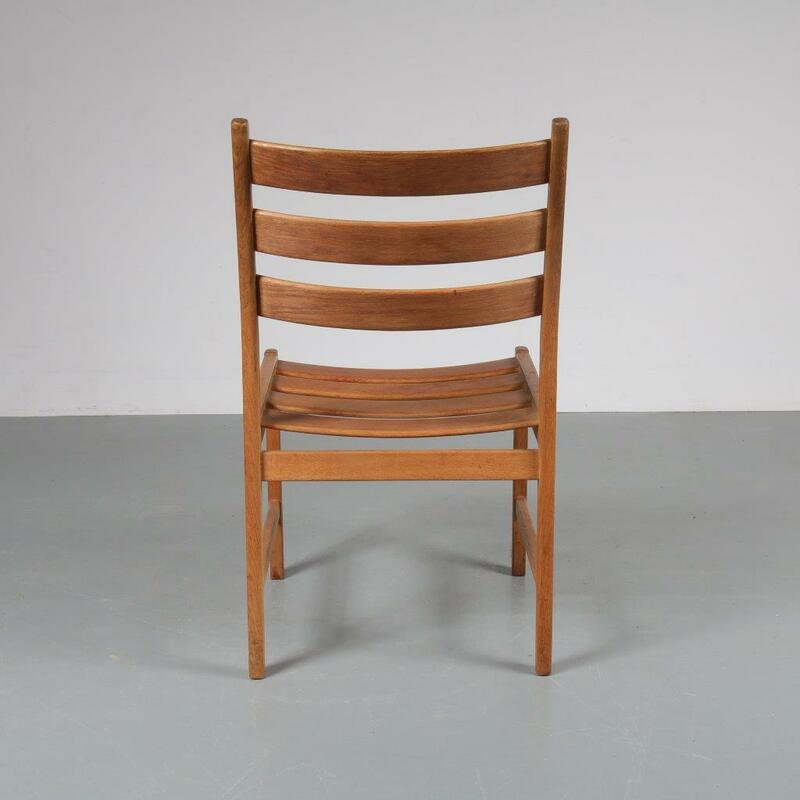 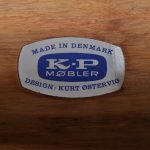 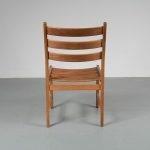 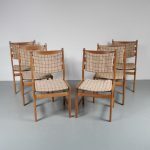 A beautiful set of Danish dining chairs, made of high quality solid, untreated oak wood. 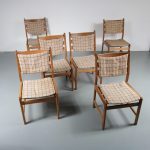 Their rustic style is beautifuly complimented by the beige cushions. The sturdy chairs have slates across the seats and back, making them beautiful without cushions as well! 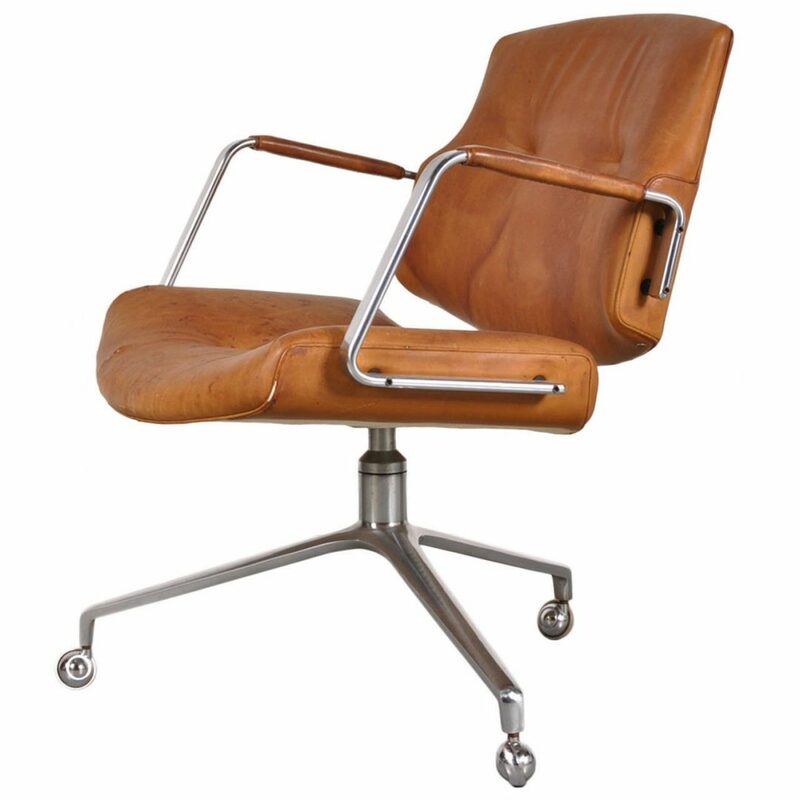 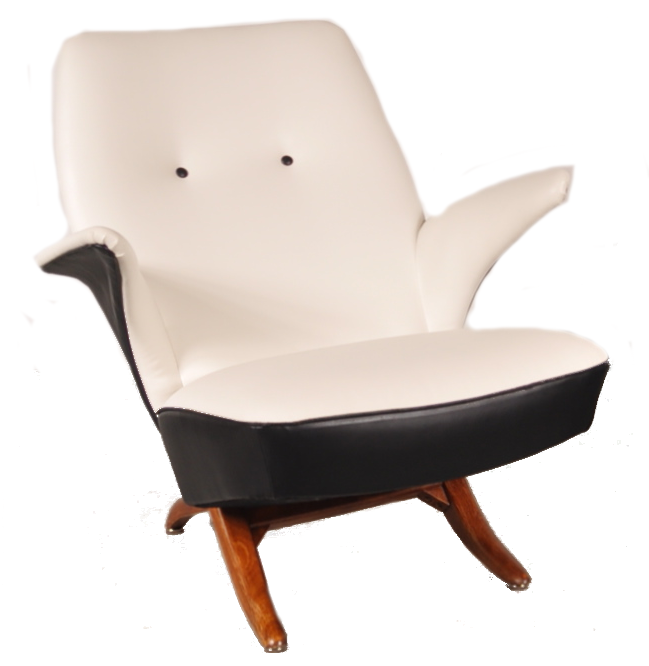 It has the original manufacturer’s label and also the original label for material treatment. 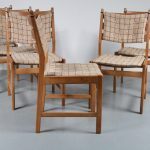 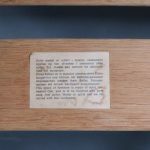 The chairs have been very well preserved! 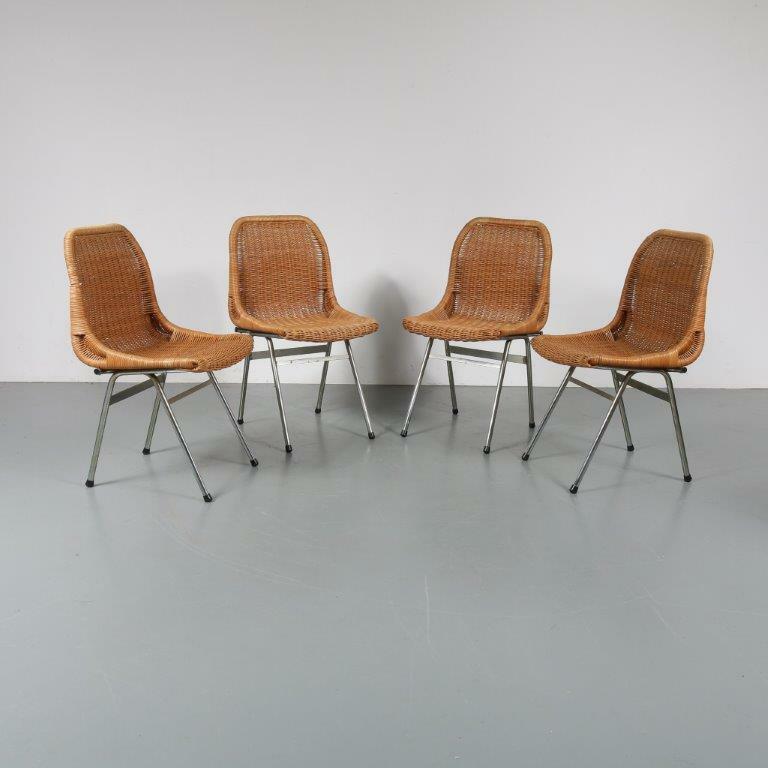 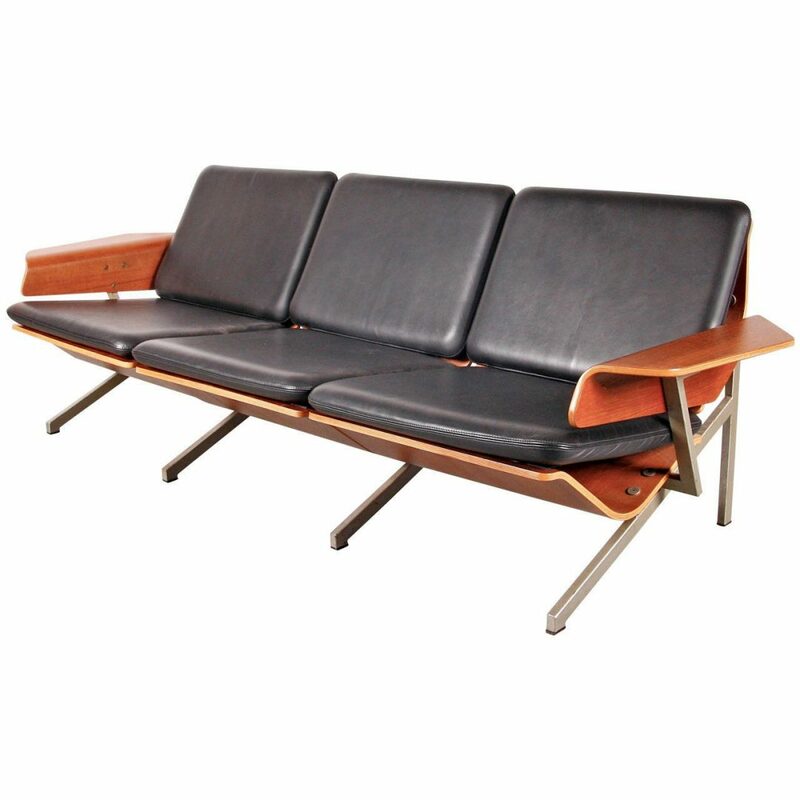 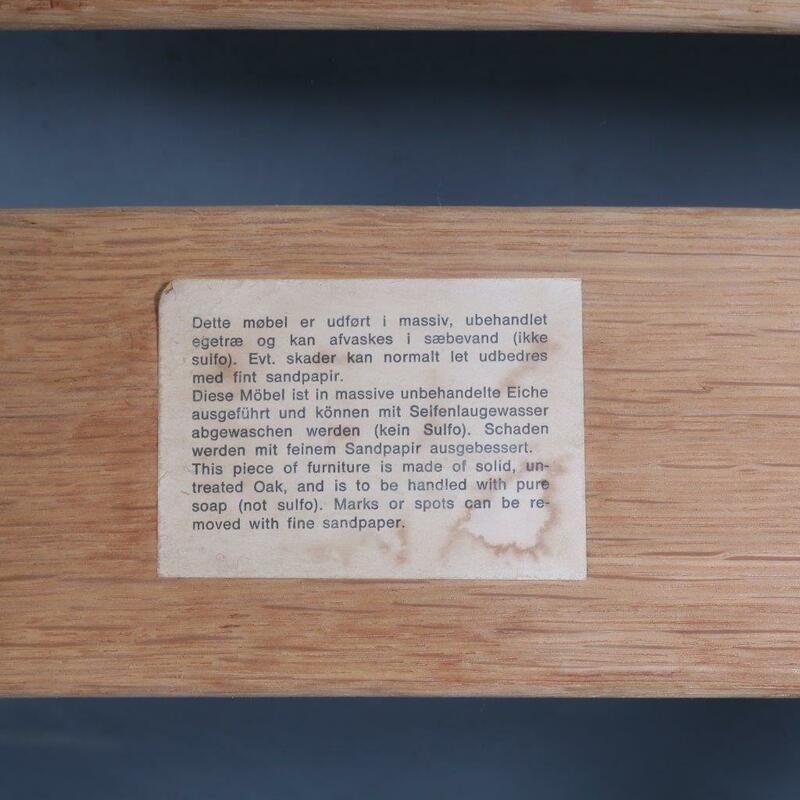 The set remains in good vintage condition with minor wear consistent with age and use, preserving a beautiful patina.